STATE BANK OF INDIA, government-owned corporation is India's oldest and largest commercial bank. Note - Imperial Bank of India was formed by merger of three presidency bank - Bank of Bombay (founded in 1840) , Bank of Madras (founded in 1843) and Bank of Bengal ( founded in 1809) under Imperial Bank of India Act 1920. On 1st July 1955, Imperial Bank of India became STATE BANK OF INDIA under State Bank of India Act, 1955. State Bank of India ( Subsidiary Bank Act) was passed in September, 1959 by the government. 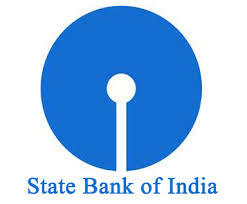 Note - State Bank of Saurashtra and State Bank of Indore were merged with SBI in 2008 and 2010 respectively. There were originally eight subsidiaries acquired in 1959. Slogans - The Banker To Every India; Pure Banking, Nothing Else; With You, All The Way; A Bank Of The Common Man; The Nation's Bank On Us. Twitter Handle Account - To connect with technically proficient generation in better way. Tab Banking Facility - The staff will visit the customer place and complete the formalities for account opening using Tabs. State Bank Freedom App- We can transfer funds , internet banking, balance enquiry, check Mini Statement, Cheque book request, Demat Enquiry service and Payment of Bills. Composite Index - To look forward economic trends.